Philosophical romantic drama written and directed by Darren Paul Fisher. 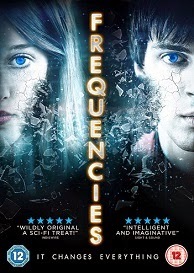 Set in an alternate universe where people emit frequencies that determine the course of their lives, two children with differing fates agree to meet for just a minute every year. Feeling out of sync with the natural world due to his low frequency, Zak (Daniel Fraser) falls in love with Marie (Eleanor Wyld), a naturally talented and academic girl at the opposite end of the frequency spectrum whose talents come at the expense of her emotions.